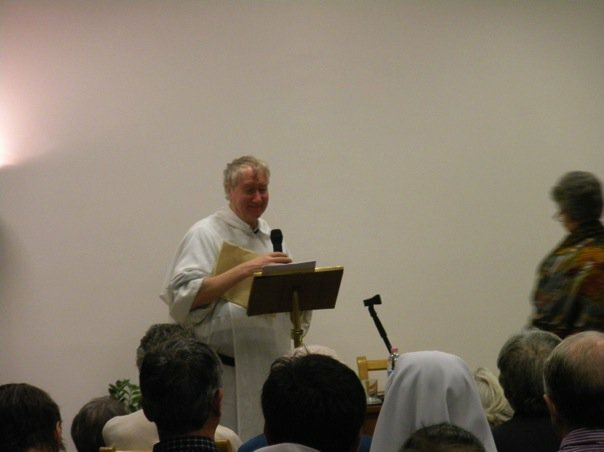 The former Master of the Dominican Order, the British Friar Timothy Radcliffe addressed a packed Salonne Vincenzo Palotti in the Lay Centre at Foyer Unitas tonight – about 120 people in all, including more women religious than I have seen at any event in Rome outside of a papal liturgy! Balancing genuine evangelization and witness, with dialogue and charity, seems to be the greatest challenge facing Christians today. We have to counter a broad-culture message of relativism, but do so without falling into fundamentalism. How to show a better way, without arrogance? This seems like the simplest message of the Gospel, but any honest listener will hear thousands of stories of would-be or former Christians who lost their faith – not in God – but in the poor example of the Christians they encountered. 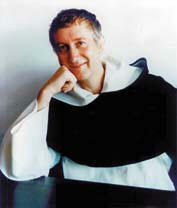 On one hand, you hear casual dismissal of dogma and doctrine as if such concepts are passé, and not worth discussion. On the other, you hear defenders of the faith doing more damage than any secular press ever could. So, how do be true to the Gospel while in a positive engagement of culture? That was the part of Fr. Timothy’s address that I was able to hear. He is a gifted preacher – no surprise, given his years at the helm of the Order of Preachers – and a humble man of apparent spirituality. If you ever have the chance to hear him, I suggest you do so. I look forward to an opportunity when I am not taking my turn as porter, so I can get the full message! By A.J. Boyd in La vita Roma on February 17, 2010 .